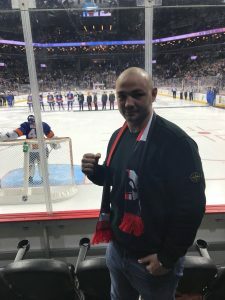 In the summer of 2017, at the Nassau Coliseum in Long Island, Brooklyn – by way of Poland – native Adam Kownacki met with fellow heavyweight Artur Szpilka in a scheduled 10 round affair. Szpilka, who had just battled WBC powerhouse Deontay Wilder, didn’t make it past the fourth round. Fast forward to last summer at the Barclay’s Center in Brooklyn. 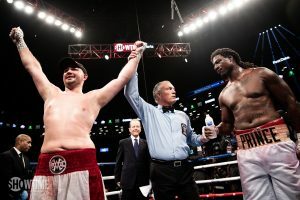 On his home turf, Kownacki stepped in the ring to face former IBF heavyweight champ Charles Martin. That fight went to the cards, but it was Kownacki who walked away with the UD win. And now the route is leading him to the tall and formidable Washington. “Camp is going great,” says Kownacki, who says he is “working on doubling, tripling the jab.” Kownacki also claims he’s been having “great sparring” in the leadup to the Washington fight. Although, with 14 out of his 18 wins coming by knockout, he can be viewed as a power puncher, Kownacki views things realistically. “You’ve got to keep winning,” he says. “Of course you want to get the knockout.” Still, “the win is most important.” Not that Kownacki is ever going to be primarily a defensive minded fighter. “I always comes forward,” he says. That strategy has proven to be good for Kownacki…and good for fans of exciting fights, as well.